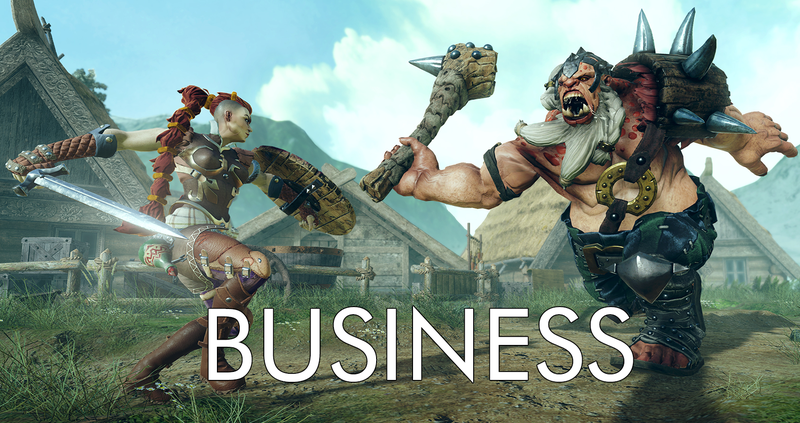 This Week in the Business: How Can We Make It Up To You? QUOTE | “Again, sorry for this as we kindly ask for your further patience and hopefully it won’t be a deal breaker for any of you. In return, we promise we’ll push this extra three weeks in 90+ hours per week so it’ll be very-very useful for Martyr.” - NeoCoreGames producer Zoltán Pozsonyim in an update apologizing for a three-week delay to the official release of Warhammer 40,000: Inquisitor - Martyr, which has been playable on Early Access since last August. The studio later claimed it was joking. QUOTE | “It wasn’t too long ago that I didn’t trust anyone that was older than me on the business side, because it was so awful in the ‘90s and early 2000s. Developers were treated really poorly, but they didn’t talk to each other. Luckily that’s changed over the years.” - Devolver Digital’s Harry Miller talks about progress in a Reboot Develop panel about indie publishers. QUOTE | “They are designed as gambling games are designed, with the feeling that you have almost won. There are all sorts of sound effects and visual effects when you open such a loot box, so you have a tendency to play through and through.” - Marja Appelman, director of the Netherlands Gaming Authority governmental gambling regulatory body, explains the agency’s issue with loot boxes after finding four of the top 10 most popular loot box games violate anti-gambling laws. STAT | $50 billion - The projected revenue generated by loot boxes and skins gambling by 2022, according to Juniper Research. This year the number is expected to be under $30 billion. STAT | $25 million - First month revenues from the mobile version of Fortnite on iOS, according to market intelligence firm Sensor Tower. QUOTE | “We’ve done a lot of research over the years. I’m sure we’re on some sort of governmental watch list from all the Googling about Nazis that we do.” - Wolfenstein creative director Jens Matthies says working on the franchise for the better part of a decade now and being immersed in such dark subject matter can’t help but change a person. QUOTE | “As internet and communications technologies bring so many people together, the great side of it is that people’s voices are amplified and less is in the shadows, but on the other side we’re now seeing what was in those shadows. We need to figure out what to do about it as a society.” - Discord CEO Jason Citron says the company’s efforts to stop hate groups from organizing through the gaming-focused social media platform are just part of a larger, more important issue facing the world. QUOTE | “For us, the value of our game at exactly the price that we launch it is part of what Vlambeer is. We say the product is exactly this price, and it is that price - it never changes.” - Vlambeer’s Rami Ismail explains why the company never runs sales, even though it believes they would result in more income and users. QUOTE | “A quick dig into the actual numbers quickly puts the lie to common mantra ‘Indie Sequels always do worse,’ but it’s easy to see how people get there when you compare three years of sales (at a wide range of discounts and bundles) to the first six months of a new game at full price.” - Defiant creative director Morgan Jaffit explains how Hand of Fate 2 has been plenty successful for the studio half a year after launch, even if its raw sales numbers don’t quite compare to its predecessor. QUOTE | “You haven’t got the money in the bank, and all these contracts state they can just kill the project whenever they like. Just because you’ve got a $3m deal doesn’t mean you end up with $3m.” - Dlala CEO Aj Grand-Scrutton says even indie developers teaming with a massive company like Disney can’t be too complacent about looking for additional work. QUOTE | “They just thought it was cool I was into something and wanted to know why I enjoyed it so much.” - Alex Gygax, son of Dungeons & Dragons creator Gary Gygax, on his parents’ reaction to his interest in violent video games like the never-released PlayStation brawler Thrill Kill.